Now with 2 levels for differentiated instruction!! 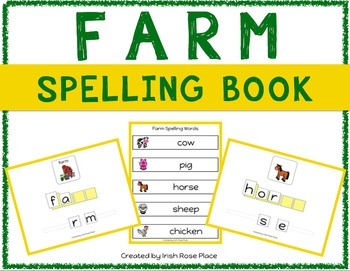 This adapted book features 10 different Farm vocabulary words for your student to practice spelling. Each word has its own page with a picture and label. There are clearly defined boxes for placement of velcro spelling letters. 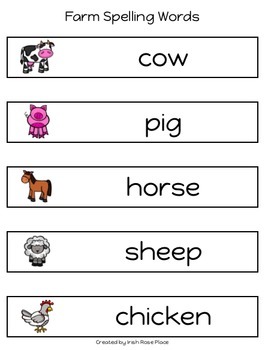 Put the letters in order or scramble them on the velcro strip to help teach spelling and letter order. 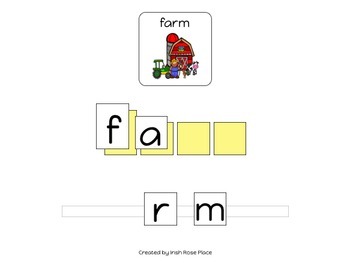 The 10 Farm words featured include farm, farmer, barn, tractor, pig and cow. This adapted book is perfect for children in your special education classroom with autism, learning disabilities or other developmental disabilities. 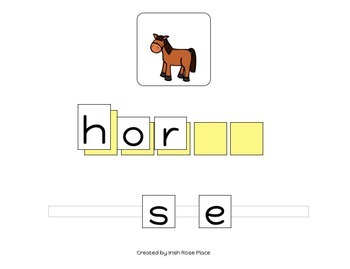 Work on this book together during 1:1 Work Time or Group Time. It is also a great Independent Work Task! This book goes perfectly with the Farm Matching Book (Adapted Book).